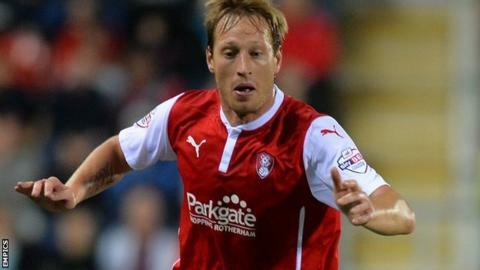 Rotherham United have re-signed striker Luciano Becchio on a deal until the end of the season. The 32-year-old Argentine had a spell with the Millers last season, scoring twice in five games before an injury curtailed his loan from Norwich. The former Leeds United man spent the last few weeks training with the Millers after a spell with Belgrano in his home country. He could play in Saturday's trip to Cardiff City.